The long winter of our discontent is finally over. The snow has melted, and we have stored our sweaters, warm coats, and other winter gear in boxes, or in the back of our closet. We can finally breath a sigh of relief--summer is here! The temperatures are soaring, along with our spirits about this development. The surplus of daylight hours and warm weather has many of us giddy. 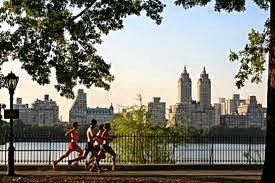 We can eschew the treadmill, and opt for a pre and/or post work run outside. Before Exercise- Most of us don't think of proper hydration strategies until we have finished our training session, and we are sweating profusely. This thinking both compromises the quality of our workout and is dangerous. Underconsumption of fluids can lead to problems such as heat stroke and eventually death. Make sure you consume enough liquids, primarily water, by drinking 500mL of fluid (about 17 ounces) about 30 minutes prior to exercise. After Exercise- Once your training session is over, fluid intake is key for recovery. If you don't replace the fluids that you have lost, recovery is delayed. One way to replace the sodium and carbohydrate losses is to consume 400mL-800mL (13-26 oz.) 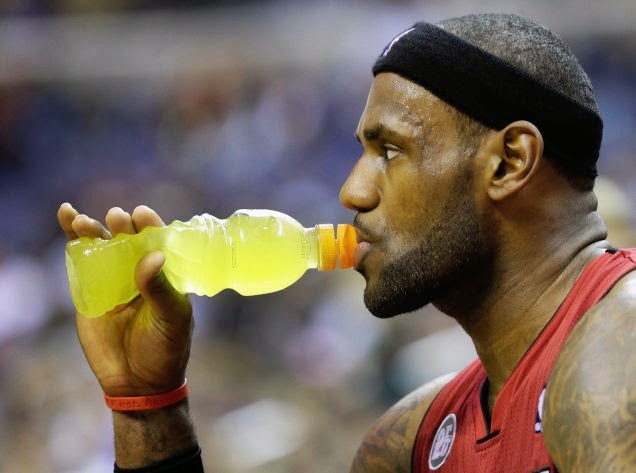 of a commercial sports drink like Gatorade or Powerade. To read more about hydration strategies and the importance of water, check out "Exploring the Relationship between Water and Fat Loss" or "Running in the Heat" by Jennifer Van Allen of Runner's World. Interesting. Your instructions look clear but I'm not very good at this so I hope this will work well for me. Thanks for the tips!Reading this article was an experience. I enjoyed all the information you provided and appreciated the work you did in getting it written.